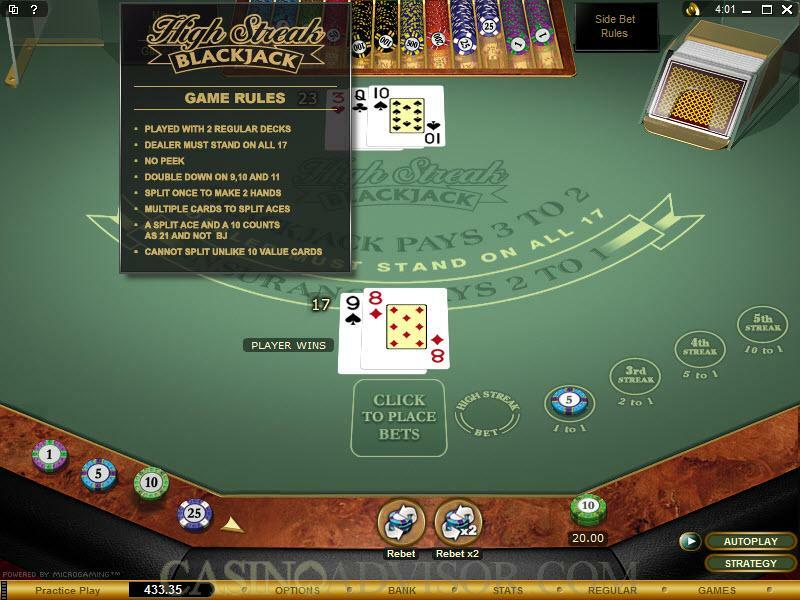 High Streak Blackjack is an exciting and different variation of the great game of blackjack which is brought to you by Microgaming, the world's leader in online gambling software. It is European-style in nature, and features side bets that have the potential to produce bonus payouts. There are also a number of rules variations that differ in significant ways from any blackjack games that might be considered "standard." These include a restriction where the player can only split pairs once. High Streak Blackjack does a great job of simulating the experience of being in a real casino, and more to the point, in a European casino. There are some people who appreciate the game as it is played in European style, and some who do not. 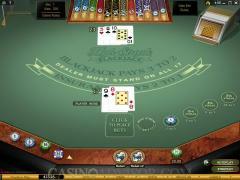 In this particular blackjack variation, there is a twist, however, and you can count it as a major one. There are side bets on the table - known as High Streak side bets - which make escalating bonus payouts that can bring a very beneficial return if you do in fact go on a streak. You place a High Streak side bet in addition to your regular bet. When you win your second consecutive hand, it initiates a "High Streak." The more consecutive winning hands you attain, the higher the payout is. 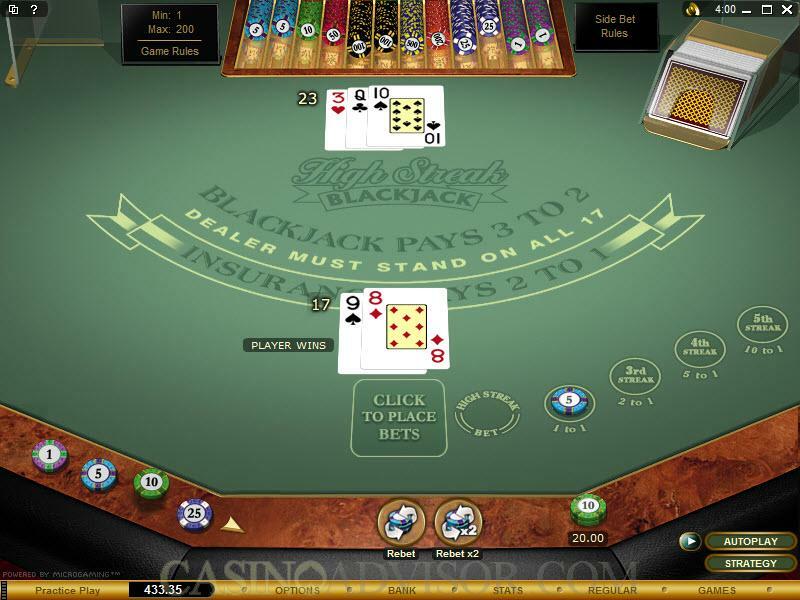 The player's objective in blackjack is to compile a total in your hand that is more than that of the dealer without going over 21, or to manage staying under 21 while the dealer exceeds that total (or "busts"). After play is finished on each hand, the two decks are reshuffled by the software program and they are dealt randomly in the next round. Aces can take on the value of either one or 11, and face cards carry a value of ten. 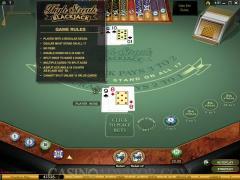 Interested in reading more detailed information about High Streak Blackjack? If so Click Here for more details.